Sustainability is a worth that is close to our hearts. Sustainability has long been a focus at Kishor Exports, but it is imperative for us to get the Oeko-Tex Standard 100 certification as it gives our clients confidence in the products and assures them that these products in no way contain chemicals or other dangerous substances that are unfavorable to the health. 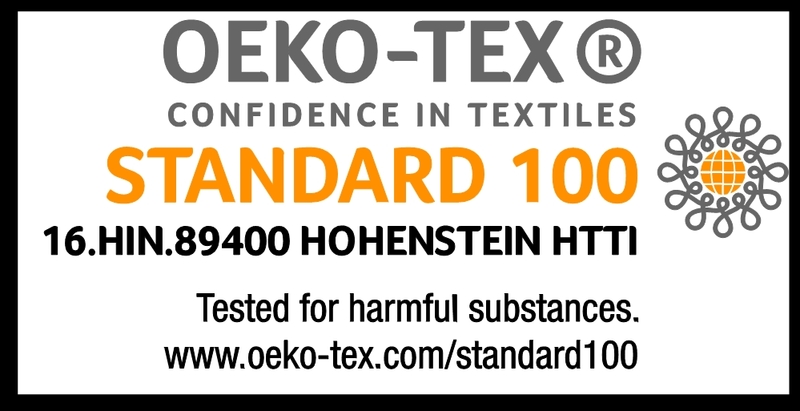 The Oeko-Tex Standard 100 is the world’s leading human ecology product label for textiles that have been tested for hazardous substance content. Textiles carrying this product label have been tested and approved for certification by internationally renowned textile institutes. It is an independent global testing and certification system that aims to eliminate effects of harmful chemicals throughout all stages of production. The tests for harmful substances cover substances which are prohibited or regulated by law, chemicals which are known to be harmful to health and parameters which are included as a precautionary measure to safeguard health. A tested textile product is allocated to one of the four Oeko-Tex® product classes based on its intended use. The more intensively a product comes into contact with the skin, the stricter the human ecological requirements it must fulfill. Manufacturers are entitled to mark successfully tested products or article groups with the Oeko-Tex label as long as all components, including accessories, comply with the specified test criteria. Kishor Exports holds Oeko-Tex Certificate of Standard 100 Product. We ensure that we maintain more than adequate standards throughout the year. Our manufacturing process is thoroughly monitored by our quality control system which is unparalleled in the industry. Information regarding all yarns, sewing threads, embroidery threads, labels, and even dyes and adhesives used to make each product is gathered from our partner firms, and provided to the OEKO-TEX testing agency for analysis.